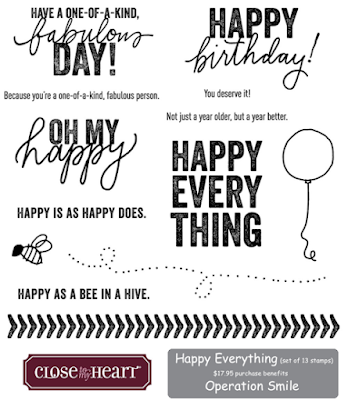 Inky Hearts Papercrafting: Operation Smile Stamp Set - Happy Everything! Operation Smile Stamp Set - Happy Everything! 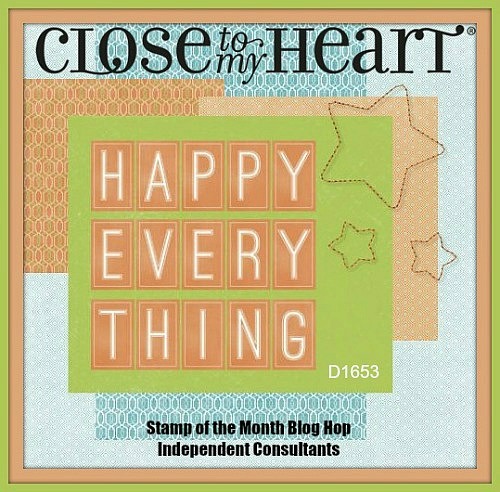 Welcome to the Happy Everything Blog Hop. This time we're featuring a stamp set that often gets overlooked since it's on the back cover of our latest Seasonal Expressions. 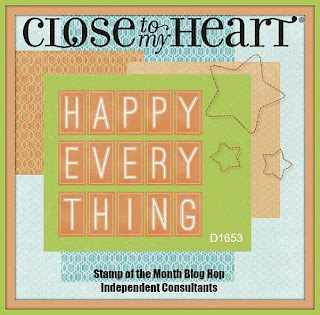 When you purchase this stamp set at full retail price, Close to My Heart will donate $3 to Operation Smile. Since its founding in 1982, Operation Smile has performed over 220,000 surgical procedures to correct facial deformities in children around the world. It only takes one hour for volunteer medical teams to perform these life-altering surgeries that will give children confidence for a lifetime. And just look at how cute and versatile this set is! 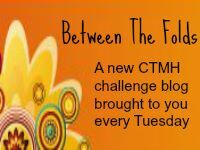 If you arrived here from Melinda Everitt's blog, you're on the right track. If you get lost along the way, you can find a full list of hoppers here. Okay, so there's a few things going on here. 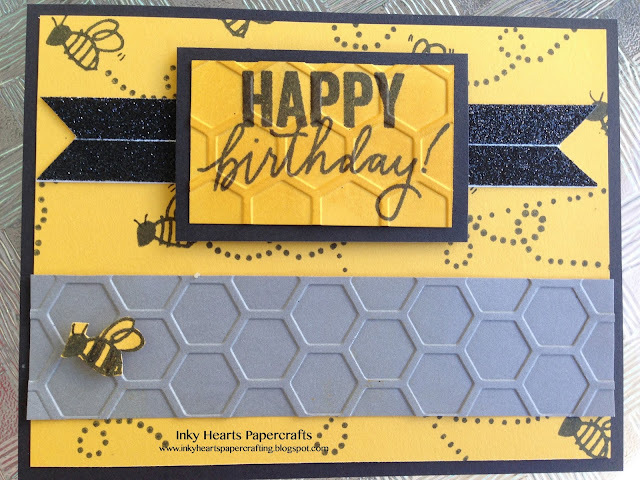 The sentiment piece and the accent piece both went through my embossing machine using the Honeycomb Embossing Folder. For the sentiment piece, I first stamped the sentiment, embossed it, and then took a sponge and rubbed Honey ink over the top to give it some dimension. To get the glittery piece behind the sentiment, since I was out of Black Glitter Paper, I laid out two strips of our Black Shimmer Trim onto a 3/4" tall piece of White Daisy. Then, I dovetailed them and used 3-D Foam Tape to pop the sentiment on top. I actually like that little seam of white showing through to give it a little zing! The cardstock colors on this card are Honey, Black and Slate. And the stamp pad colors are Honey and Black. Now, hop on over to Jennifer's blog to see what she's created for you. Cute card! Your friend will love it. The hexagon folder works perfectly with the bee image. 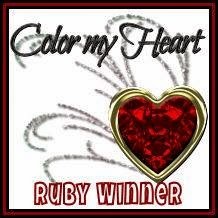 fab use of the embossing!